Barbie Sommars, also known as Faerie Jane, is a curator for Moonlit Movable Feast, a cannabis “high dining” event. The feast will be held in Joshua Tree on November 4th- during the upcoming full moon! The event is a premiere, exclusive, ticketed three-course “responsibly” medicated dinner that will likewise serve as an opportunity for a most interesting educational experience. A portion of Moonlit Moveable Feast’s ticket sales will be donated to CA Victim Fire Relief Fund, and they will also be collecting donation at Emerald Exchange’s Sungrown Lounge at the event. Cara: Can you tell me a little about your company? Barbie: The parent company, founded by Frances Schauwecker, is called Mary Jane University. We are an educational company that bridges the gap between medication and education. There’s a large gap because the healthcare industry requires cannabis education themselves. They’re slowly opening up to it as more research becomes available and pressure from patients for natural medicine builds. We’ve found a lot of people are hesitant to go to dispensaries or get their doctors rec, so we bring that education into the home. It’s the in-home party model that you might find with Pampered Chef, a Tupperware party, or Mary Kay, except it’s all about cannabis. This fully prepares them for the dispensary experience which can be overwhelming with all of the new applications such as topicals, tinctures, transdermal patches, suppositories, beverages, edibles, vapes, etc. As a compliment to that service, we started the “High Dining” division. Which is fine dining, taken to new heights. This division is led by myself and Lindsey Jones, my Partner. We also produce foodie workshops such as our Sushi and Doobie Rolling Workshop. We haven’t done one of those in the desert yet, but that’s a popular one in Orange County. The workshop is led by a professional sushi chef who teaches people how to roll sushi AND a proper doobie. The event is rounded out by appetizers, vape lounge, live beats, desert and a handful of curated sponsor/education stations. We want people to have a great time while absorbing the information we feel vital to their relationship with cannabis such as the importance of proper dosing. We have great sponsors and have been blessed to work with some of the best brands in cannabis. We have such high standards ourselves; we’re big believers in cannabis as medicine, so we don’t think that it’s a good idea to blend it with a lot of sugar, artificial flavoring, colorings, and GMOs. I don’t consider it medicine anymore after that’s happened to it. Plus, you have to also be mindful of the quality of the cannabis itself; where it was grown, how it was grown, look at test results. 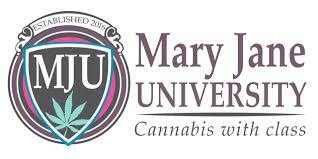 At Mary Jane University, we do all of that research for you. The Moonlit Moveable Feast is our premier event where you’ll find the most interesting things in cannabis, Joshua Tree, as well as humanity! We even curate some of our guests and love peppering our table with roaming educators, intriguing locals, and celebrities, so you’re sure to have juicy conversations. Seating is limited to 40 for a truly unforgettable, intimate experience using cannabis socially. C: I love that. Who’s going to be at the moonlit dinner? B: Our chef Sabrina Phelps will be making a Moroccan inspired, and hence, desert-inspired meal. It’s a three-course meal; the reason we call it, “Movable” feast is that each course takes place in a different area of the property. Many residents of the desert know where this private artist compound is, it’s guestlist only, it’s a ticketed event, and we will have security. It’s meant to be intimate; we do not want this to grow much larger than that. The whole event is about community and cannabis culture. Part of that is being social with cannabis, and we want to provide a well-curated, safe environment for the cannabis curious to come and enjoy themselves and trust in the experiences we create. Part of keeping it safe is controlling a number of milligrams that people are ingesting of THC. We limit our events to 10mg/person; sometimes our chefs come in at less than that. For those with higher tolerances, we have smoke and vapes. B: Total, which is the state standardized legal dose that will be effective next year. The average person can handle 10mg over the course of several hours. I call it the “Magic Dose.” Just enough to make it seem like the moon is just a little bit brighter. The first seating is at 6:30 pm and the second is at 7:30 pm. Two seatings of 20 diners each. It culminates in the third course, and by the way, the first course is roaming because this artist property is such a feast for the eyes. I’ll back up what I mean about “Feast,” too. Our event isn’t all about eating; this is a feast for all of our senses. Levi is well educated and a true messenger of healing powers of cannabis. These are the brands we highlight. Brands that make products from the heart. That is true cannabis culture. We curate on vibration. C: It’s important to practice what you do- work with people because you believe in them and because they’re spreading love. B: Exactly. You already get the vibe. That’s what we want to welcome. C: How long have you been in the industry? B: I’ve been an activist for quite some time. I became vice chair of the Women Grow Orange County chapters for nearly 3 years. I stepped down in August. That role afforded me access and introductions to most of the leaders in the industry. I‘ve been involved in legislation; more local than state. My activism runs wild, and it’s funny that the cannabis community has also become the cannabis “industry”. How do we activists coverage activism and still try to reap some of the rewards of what we’ve been working for? Having it more accessible is reward enough for me. My goal is deschedulization and normalization. B: Yeah, so, I mean, am I going to make it big in cannabis? I don’t know, it’s not ever been my goal to turn it into a business, but I do see the finer products coming online, ones that I’ve desired for years. Accurate labeling, adult packaging, trustworthy dosages; those are the products I’m excited to meet and highlight. And I love food, too, we know it’s a big trend but… it’s not quite popular yet. With the Sushi and Doobie Rolling Workshop, most people say it’s the coolest thing they’ve ever heard of, and yet they’re still scared to come out and try edibles in public. It’s a tough call to be social with it but things are changing. Fears are lessening with more mainstream exposure. C: I’m into feminine energy events, like Moonlit Moveable Feast. I don’t like events at bars or with aggressive energy. For me, I want to be peaceful when I medicate, around people that make me feel comfortable, not preyed upon. I attribute that to being a woman. Is that something that you consider when you’re curating these events; the types of energy, femininity, and the moon? B: ALL of that comes into play and so much more that we don’t even necessarily share for fear of seeming too witchy, for lack of a better word. We are all about feminine energy. This is a female owned company, our chef is female, in fact, her Instagram name is @desertmoonchild. How perfect is that? There’s spirituality involved in this but not in an overt way. Our opening performer, Lynda Arnold/DivaSonic who has a voice of an angel, she will saturate the area with healing vibrations and mantras. Tickets for the event are still available, and there is a 20% discount if you become a member of Mary Jane University’s Dining Club! For more info, link on Instagram with @mjuhighdining & @faeriejane. Also, check out highdining.club to purchase tickets!